A few more soundtracks have come my way since last I posted. 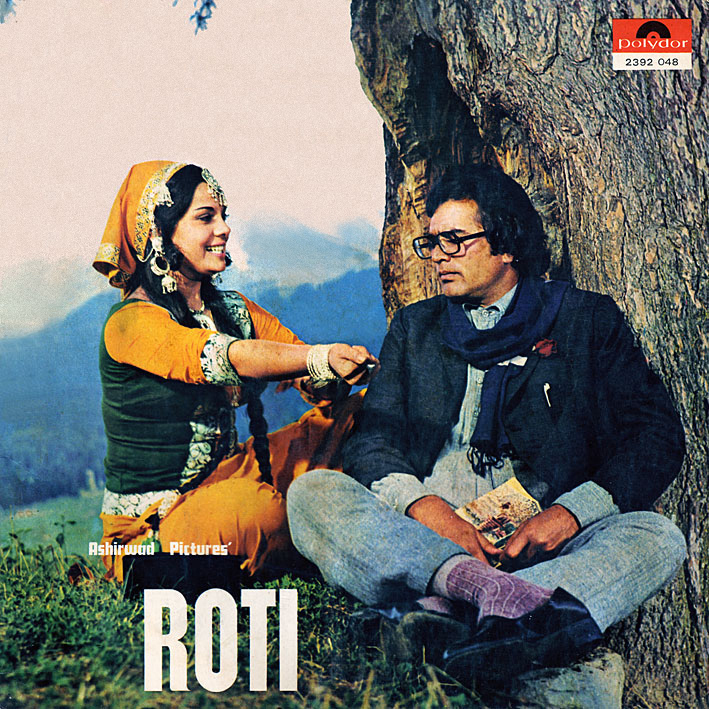 'Roti' [review] had been on my want list for quite a while; I'd forgotten why, but it didn't take many listens to remind me it was all due to the instrumentals. Three of them, and they're excellent. The first is freaked-out blaxploitation music enhanced by wild percussion, the second is a lovely strummed Morricone interlude, harmonica and all, and the 'Title Music' is what Laxmikant Pyarelal used to be really good at; utilizing the full orchestra to create a stirring sense of drama… foreboding, dangerous (and I have no idea if that is at all appropriate to the film). A big thank you to Jim Stephenson for gifting me this LP. Man, is it good to see you again! Like the phoenix rising from the ashes! Thank you! Well I never took you off my watch list ! Welcome back PC! Being on the net without third floor being active was not a happy experience! we missed you. Dont ever leave completely. I'm so glad to see that you are posting again, and it is obvious many others feel the same way. I hope you have more posts in store for us in the near future. Take care. Welcome back, PC. You left with Laxmikant Pyaelal (Soul of Bobby) and so it's only fitting you reappear with more good stuff from the same team :) Thanks. The third song (duet) is an absolute gem and one of my favorite Kishore/Lata songs ever. Picturised wonderfully by Rajesh Khanna & Mumtaz (find it on youtube)... A playful back and forth where Rajesh tells Mumtaz to not put too much stake into her fair rang (skin color) because one day it will be gone. She retorts back that he will be long gone from her list of suitors among other cute stuff. Thanks for posting this! PC Welcome back. It's a sonical delight having your rips. Really appreciate your effort of sharing these gems and also in superb quality. All these songs are so great, I love this movie more every time I watch it. Thanks! Man this like a candy shop!All this good music and one day ill have a mouthful of rotten teeth hehe. I just found this record in a charity shop but the music on mine doesn't match that of yours? Is this a common thing with Bollywood lps? Maybe different music for different countries? Not that I'm aware of, no. Are you sure it's the right LP inside the album cover?